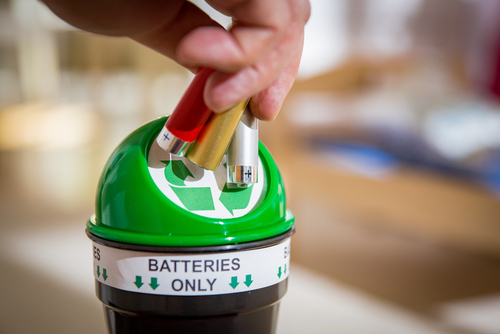 Batteries contain toxic metals such as nickel and cadmium which pose a significant risk to health and safety. Inappropriate disposal could have serious negative implications for the environment. Batteries must be disposed of by a registered contractor who is certified in dealing with this type of waste. Batteries are classed as hazardous waste. At the end of their life batteries should be placed in a container which is used for this waste stream only, this should be clearly labelled. Labels with symbols showing the metal content of the battery waste also need to be clearly marked on the containers.